Walking off after answering only two questions in the postgame conference, Tom Brady didn’t really try to hide his anger and frustration. 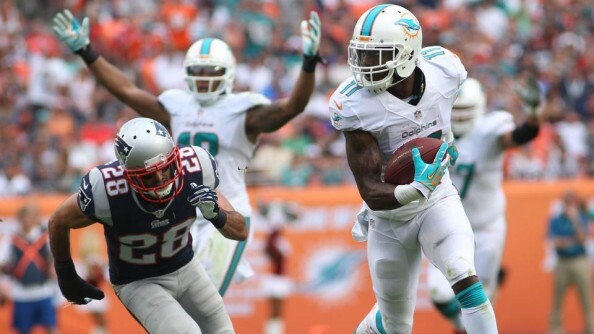 The New England Patriots failed to knock off the Miami Dolphins, losing to their division rivals 24-20 which hurts their bid for home field advantage in the playoffs and keeps the race for the AFC East title still open. Down by four points and getting into the redzone, the Patriots couldn’t convert. 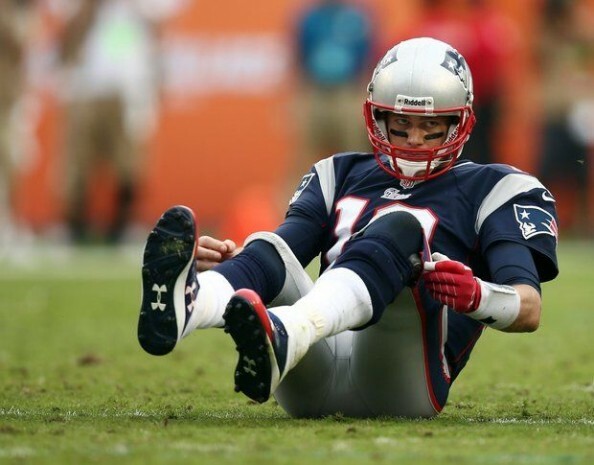 Brady was missing his big target, Rob Gronkowski, among other receivers who were unavailable for the game. It ended with a throw towards Austin Collie, but the pass was intercepted by Michael Thomas, a safety that has only recently been picked up from the 49ers’ practice squad. Brady and the Pats targeted Thomas quite a lot, but it seemed like he was prepared quite well to being ganged up on and responded by clinching the game. Despite taking an early 10-0 lead, the Patriots neglected their running game, rushing only 22 times, while Tom Brady threw the ball 55 times. We can talk quite a lot about missed opportunities by the offense or the way the Patriots failed to get a stop on that final drive by the Dolphins, resulting in a touchdown by Marcus Thigpen as Ryan Tannehill threw his second touchdown pass of the game. But the Patriots failed to create a turnover for a second consecutive game, as the reliance on Aqib Talib seems to have grown into ridiculous porportions, while the playcalling by Belichick and his staff didn’t really seem to help the team until it was a bit too late, and came down to simply one drive which Brady failed to find an open receiver on when it came down to the final score and the final down. The Patriots fall to 10-4, but more importantly 3-4 on the road, also losing to Carolina, Jets and the Bengals. They’re still in a position to enjoy a bye week, but they have a very tough road game against the Ravens coming up before finishing the season against the Bills at home. Things can still change, and there’s a feeling that this team isn’t good enough to make it through the playoffs without home field intervention. The Dolphins? They’re 8-6, currently heading into the postseason. They can still win the division thanks to their first win after seven straight losses against the Patriots if they win out while the Pats enter an unexpected slide. Ryan Tannehill had one of his finest performance, throwing for three touchdown passes and 312 yards, focusing a lot on Mike Wallace, who caught six passes for 105 yards and a touchdown. Tom Brady was the face everyone focused on and remembered. A great quarterback in a year in which he’s showing vulnerability. Maybe it’s only because of the depleted line of receivers he’s had to deal with for so long, but it seems like there’s just something slower, weaker about him, especially without the comfort of the home crowd pushing him from behind. Maybe he’s simply gotten older, and isn’t good enough to pull off these kind of wins on the road anymore.